Trials are in one week! 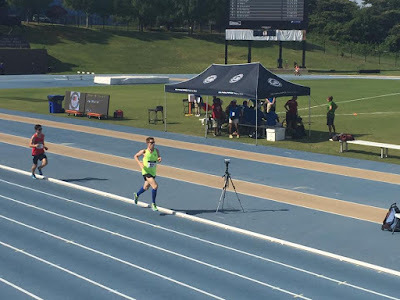 Matt will fly to Charlotte for the U.S. Paralympic Trials next Wednesday. 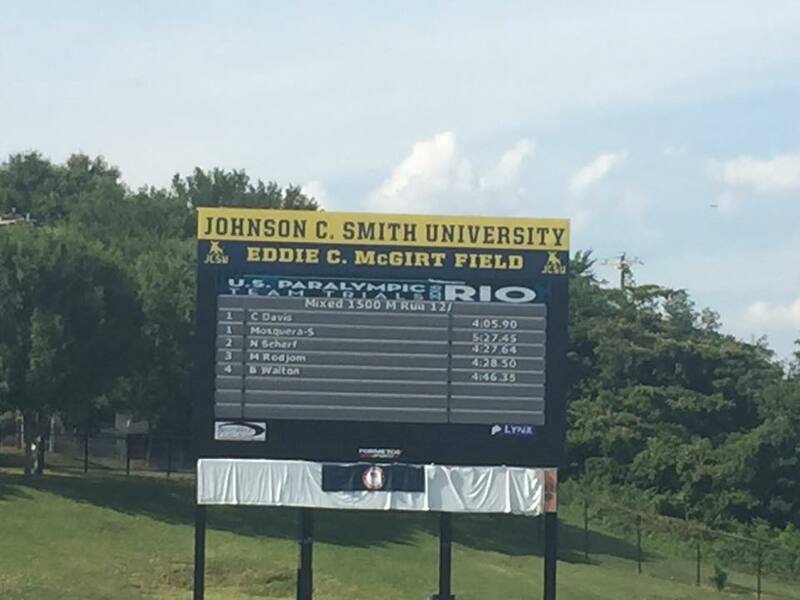 He'll spend the day getting adjusted and testing out the track at Johnson C. Smith University. He'll enjoy a quiet night in the hotel room before the kids and I arrive on Thursday afternoon - one week from today. 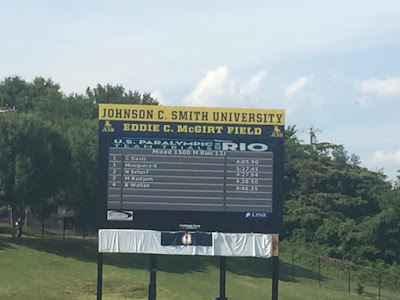 Then, on Thursday evening, he'll race the 5000 meters against other visually-impaired athletes, all vying for one of the coveted spots on the U.S. Paralympic Track and Field Team. 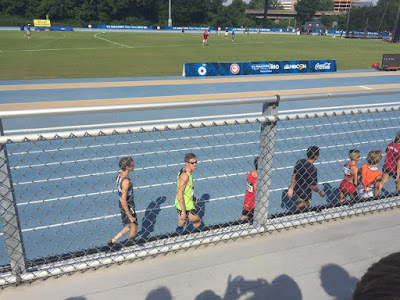 Two days later, he'll race in the 1500 meters, but this more for fun as his times are too far off of the standard. Though we'll know if he hits the times immediately, the U.S. team won't be announced until Sunday. 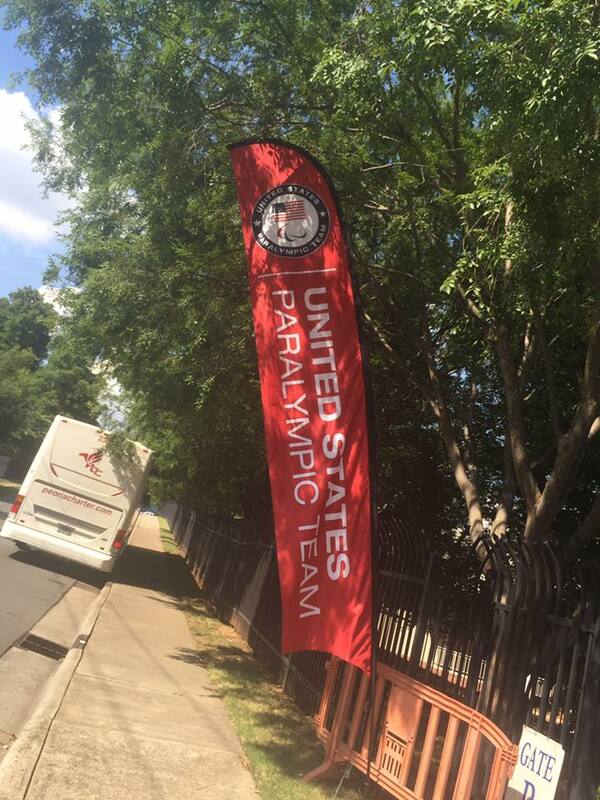 NBC will be airing coverage of the U.S. Olympic Track and Field Trials that will be going on in Eugene, Oregon, so they will break to cover some of the Paralympic trials and the team announcement. Although I've joked with Matt ever since he said he wanted to make this journey that I want to be able to say I'm married to an Olympian, the truth is I'm already married to an aspiring Olympian and an inspiration to me and our three children. 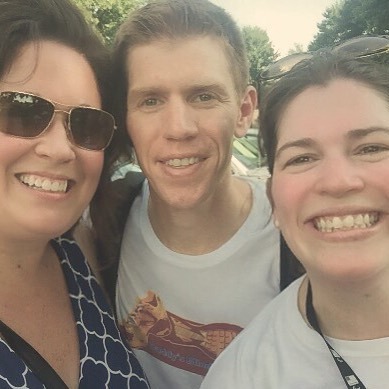 We'll be there along with lots of family to cheer Matt on in Charlotte and help him celebrate this amazing journey. His competition are kids 15-20 years his junior. He has a full-time job and a family, and yet he's still found time to log more than 60 miles a week. He hasn't actually ran 5000 meters consecutively at a 15:40 pace, but he's logged lots of time on the track at his target pace. I can' t wait to be there to see him give it his all during those 12 and a half laps in the Carolina heat. The article I shared in a previous blog post that was featured in the summer edition of Run Washington has been posted on the Run Washington website and featured in its blog and email. If you haven't already, you should check it out here. I promise to document the weekend with lots of updates and pictures. 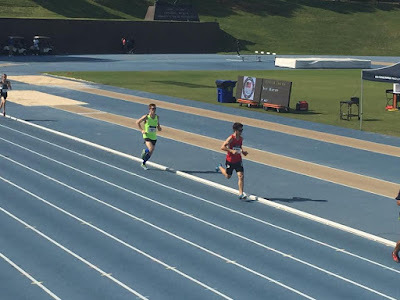 And, since I haven't had a post in a bit, I wanted to share with you a few pictures from Matt's last race. 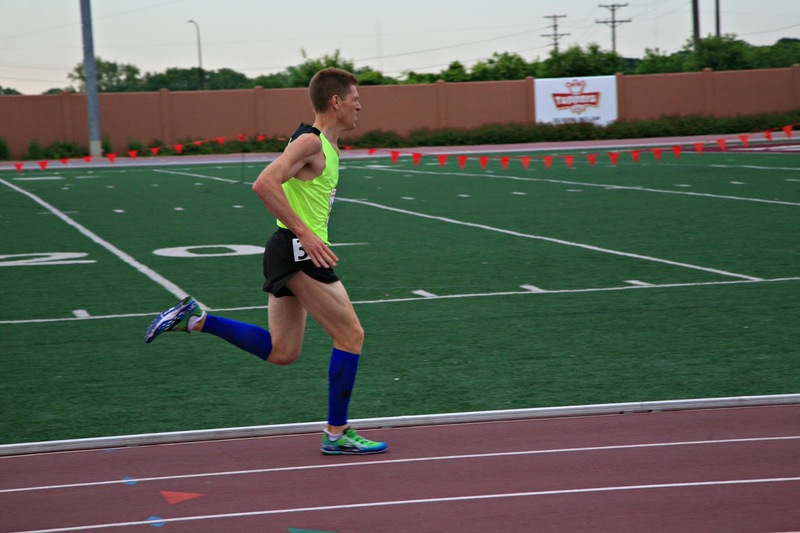 He placed second overall at the StarKid 5K on June 5. 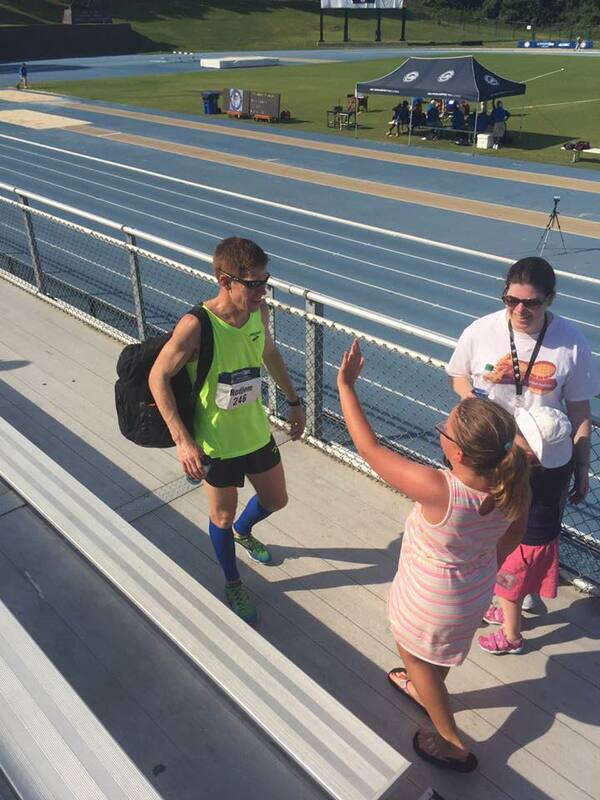 (A high school runner beat him.) Before the race was a 1k family fun run. The kids and I ran that together. Even little Zachary managed to run most of it, except for a block or so where I carried him. Arendelle's Princess Anna was running the race, too, and helped cheer him to the finish. Also at the race were Queen Elsa and Captain America, a bounce house, and lots of other fun kid events. As fun as the race is every year, we love doing it because all of the money from the race goes towards the Inova Children's Heart Program. Medical programs like this are so important, as we learned first hand when Marisa was born with a congenital lung condition and underwent surgery and extensive follow-up care with Children's National. And now, several years later, she's running in her first race. She said after that a 1k wasn't long enough. She wants to do the 5k with Daddy next year. We'll see! Beginning of the race. The kid in red won. Matt and his guide Chuck. Matt heading to the finish. Look who we ran into? Zachary was very excited to meet this guy. All three kids went up with Matt to claim his prize money. 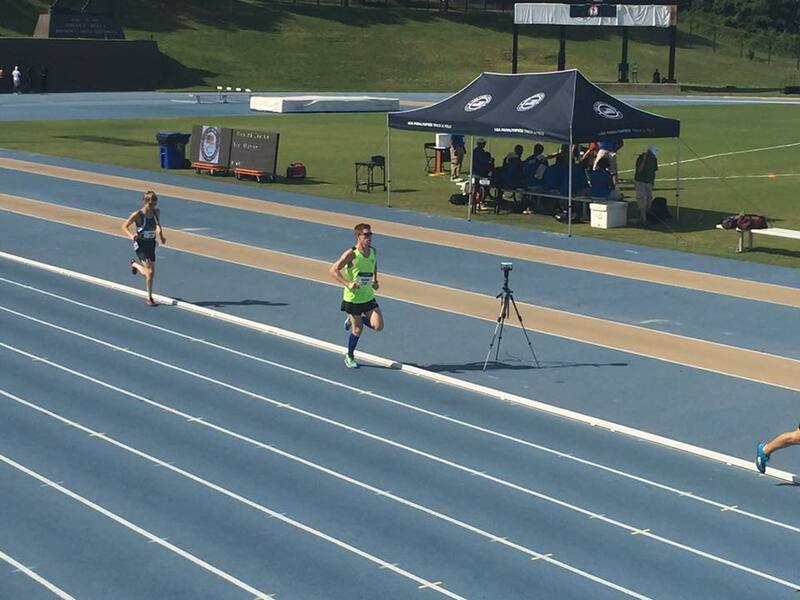 On Wednesday, Matt will depart for the Desert Challenge Games, which will be held at Arizona State University, May 11-15, 2016. This event is part of the International Paralympic Committee (IPC) Athletics Grand Prix, and the only event taking place in the United States. Matt needs to attend to renew his IPC classification, which expires this year. Two years ago, Matt was classified as a T12 athlete. In order to receive his classification appointment, we had to provide lots of updated paperwork on Matt's vision. Unlike some visual impairments, Leber's Hereditary Optic Neuropathy is not degenerative. That doesn't mean that age won't negatively impact his vision one day, but it does mean that since he was diagnosed in 2000, his vision has been stable. Every year Matt goes in to see his Neuro-Ophthamologist for what Matt calls his annual "I'm still blind appointment." We expect that Matt will once again be classified as a T12. 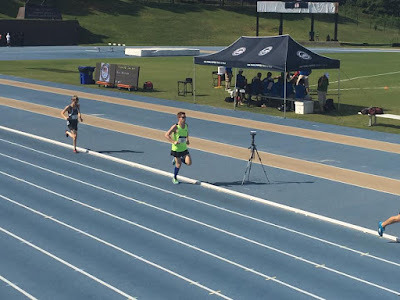 Matt does not run with a guide on the track because his peripheral vision, the only vision he has, allows him to see the track lanes. If he were to be categorized as a T11 runner, he would be required to have a guide and to wear blackout glasses so he would not have an advantage over the other T11 runners. Both would be detrimental to Matt -- he's never trained on the track with either and he would have no guide with him to compete. But again, we expect he'll be reclassified as a T12 athlete. His classification appointment is on Thursday. 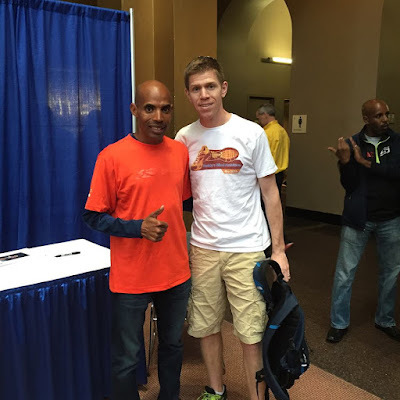 Friday night, he'll race the 5,000 meters. There are currently five runners registered for this event so he will have competition. 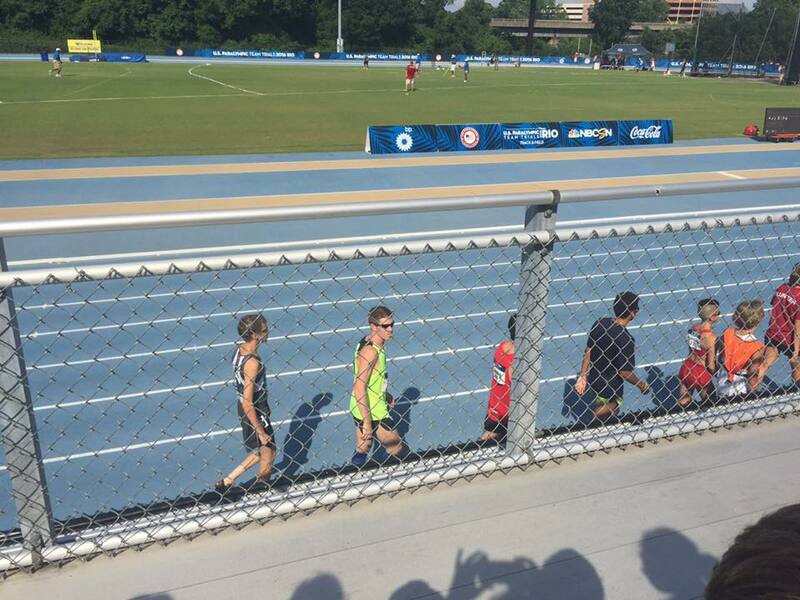 This will hopefully push him to run his fastest. 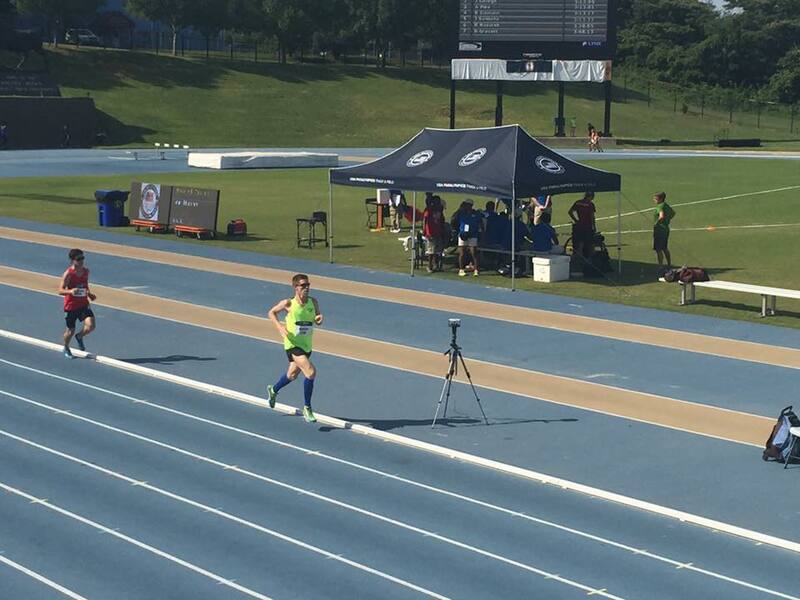 He needs to shave 79 seconds off of his 5K time to meet the Rio standard. The Desert Challenge will give us a good indication on whether that is possible. I hope it is. 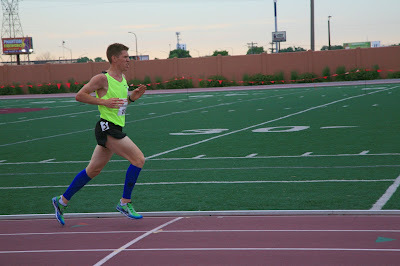 Saturday night, Matt will race the 1500 meters. It is less likely that Matt will meet the Rio standard in this event, but he will race it anyway. It is a long way to travel to only do one event. Twenty people are scheduled to race this event. 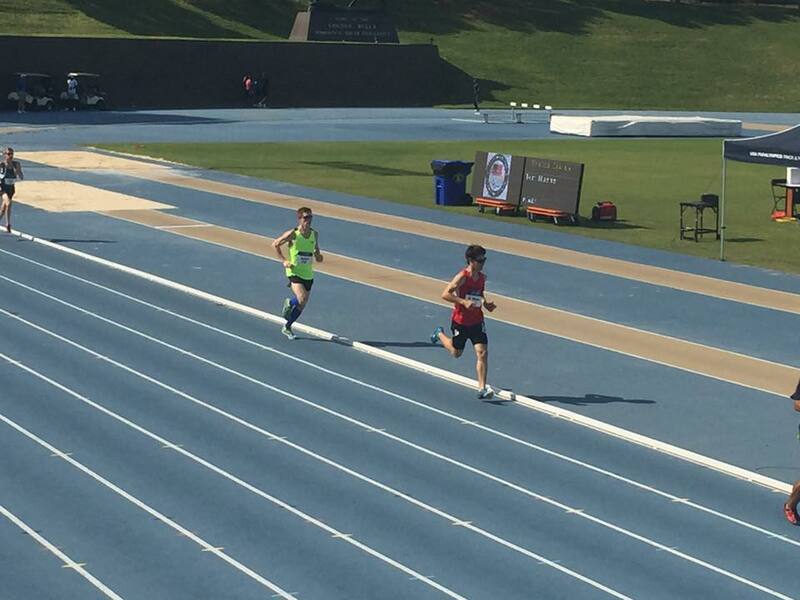 Neither of these events at the Desert Challenge Games will impact his chances to make the US Team. 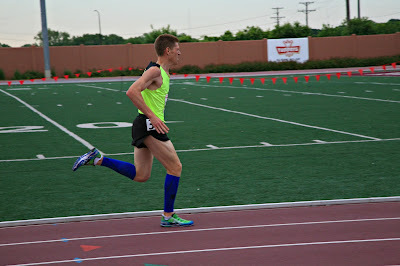 The sole determinant for that is his times at Nationals in June. But as I have said before, we are expecting that he'll close in on that 79 second gap. I plan to have several posts between now and Saturday giving you updates on the Games and Matt promises to take lots of photos since I won't be there with him. However, the whole family will drive down to Charlotte in June. Who doesn't like a cheering section, right?! I'm not the only one who is writing about Matt these days. There is an article on Matt in the Summer 2016 edition of Run Washington. If you're local, you can pick up a print copy in your local running store. I plan on picking up a lot. For those out of the area, here is a link to the digital copy (his piece starts on page 41). The photo was taken a few weeks ago on a freakishly cold day in April on Braddock Road, about a quarter mile from our house. 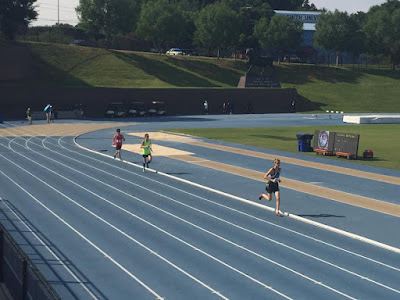 And finally, I'll put in another request for you to consider making a tax-deductible donation to Matt via the U.S. Association of Blind Athletes here to help offset Matt's travel expenses for this final push to make the U.S. Paralympic Track and Field Team. Other than a free Brooks running outfit and set of racers, we have funded this journey ourselves.